These contemporary design objects are produced with functionality in mind. Poule is no exception. 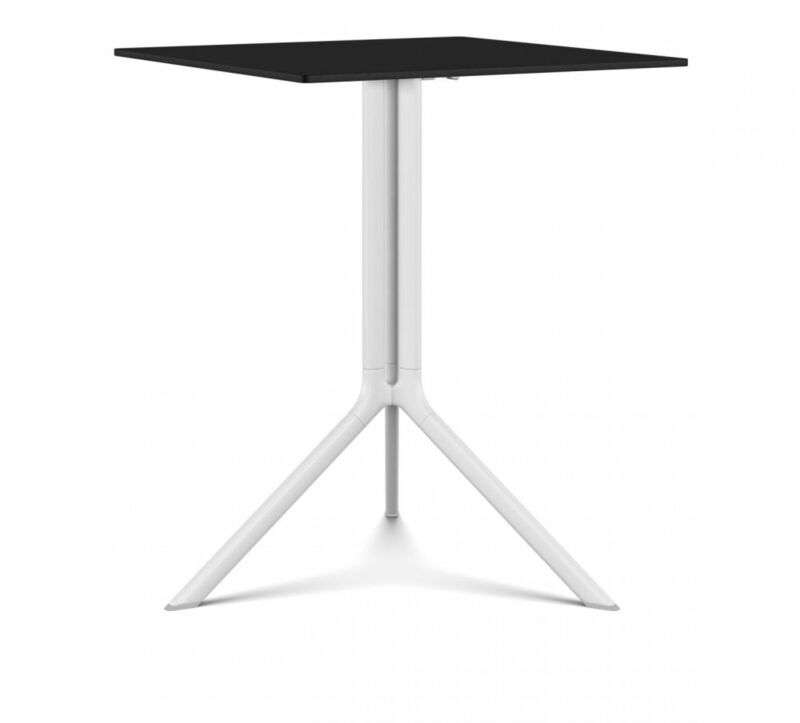 A folding table especially designed for small and difficult spaces, Poule is an extremely versatile product. The innovative aspect of Poule lies in its folding system that makes it ideal for storage in small spaces. It can be used in both private and public spaces, such as cafés, bars or restaurants. Poule can be used indoors or outdoors. Made from durable aluminium, Poule can withstand different weather conditions or intense use. It comes in different heights and shapes, in laminate black or aluminium powder-coated white. The support can be round, rectangular or square.